Located in the city of Orlando, Royal palace is a complex composed of residences of 1 and 2 bedrooms plus den. With a sophisticated design, Royal palace will inspire you to live and enjoy with a touch of romance and art. The residences have an innovative architectural design that bring forth open areas that are both efficient and functional with high luminosity. The 9ft ceiling building has Italian inspired kitchen designs, granite countertops, and stainless steel appliances with low energy consumption. Also, they have large walk-in closets in each bedroom and bathrooms with exclusive cabinets and finishes, ample mirrors and accessories. Royal Palace is secured with a quality security system that has remote access that is provided to tenants. 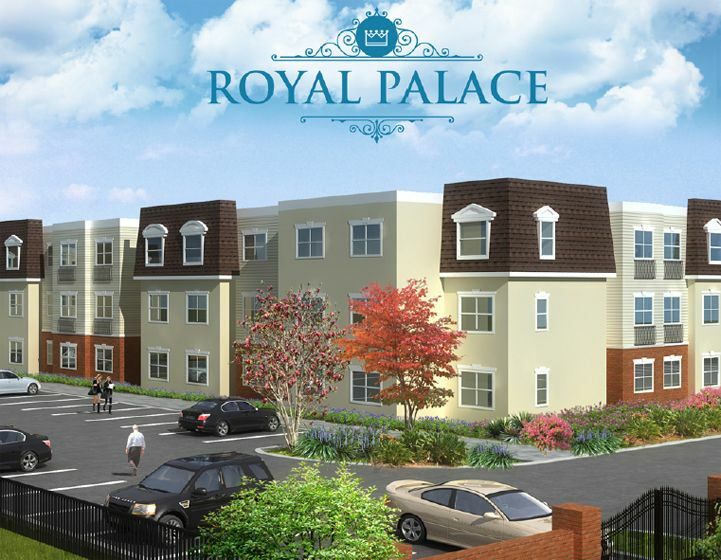 The complex has many amenities that makes living at Royal Palace an exciting place to live in. The complex has a resort style pool with wooden decks and gazebo, zen garden for meditation and relaxation, professionally decorated event room, exclusive fitness center with cutting edge equipment and cardio machines, and a kid’s club specifically created for games and playing. The complex’s location is surrounded by familiar locals and upcoming projects such as The Florida Mall, Lake Nona Medical City, Orlando International Airport, and only miles away from Disney, Seaworld, and Universal Orlando.